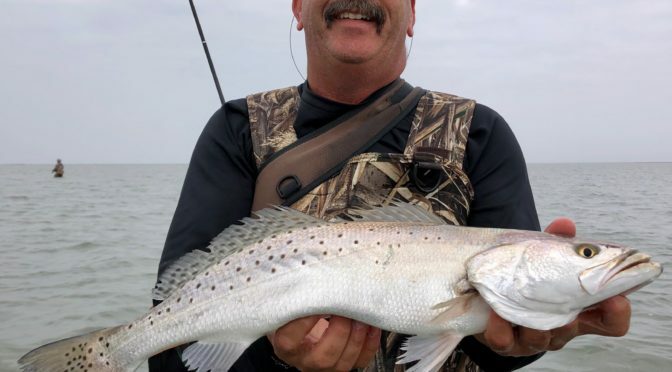 This go round in Port had some highs and lows. 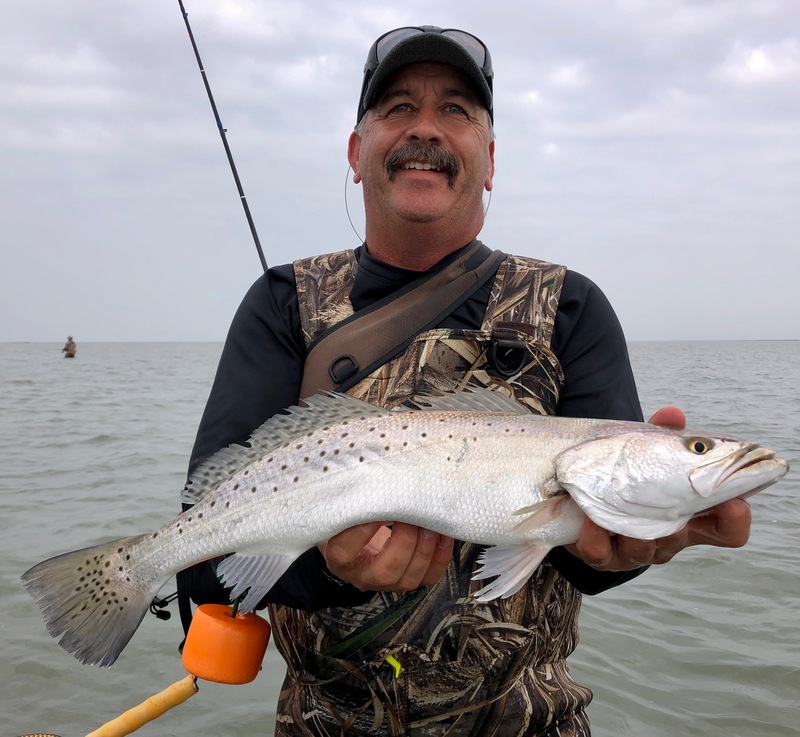 We started off the trips with just a handful of trout bites, but the right ones with fish between 5-8.5# and 29″. 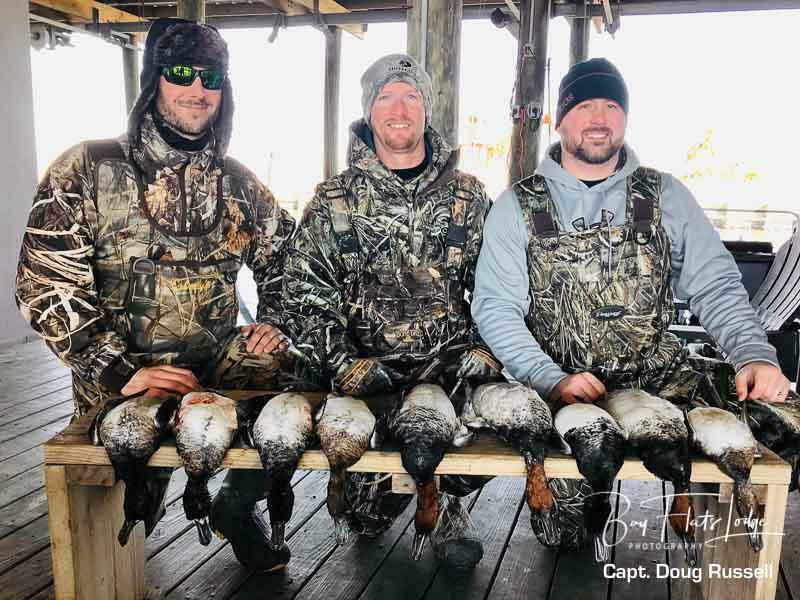 Our most productive areas were ones holding rafts of mullet in knee to crotch deep water. 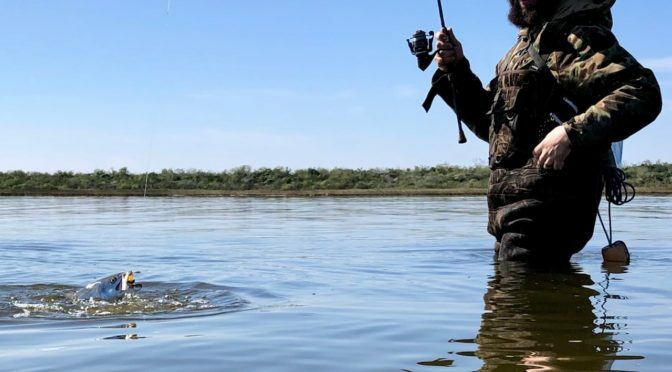 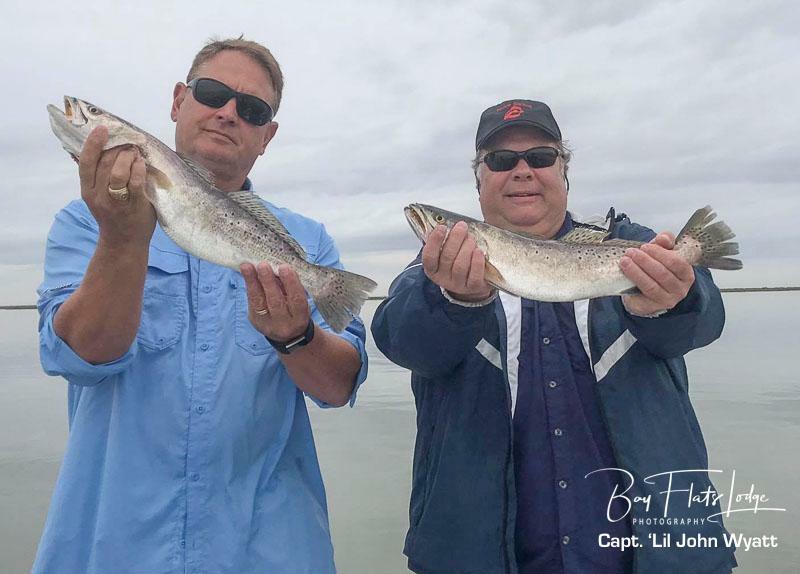 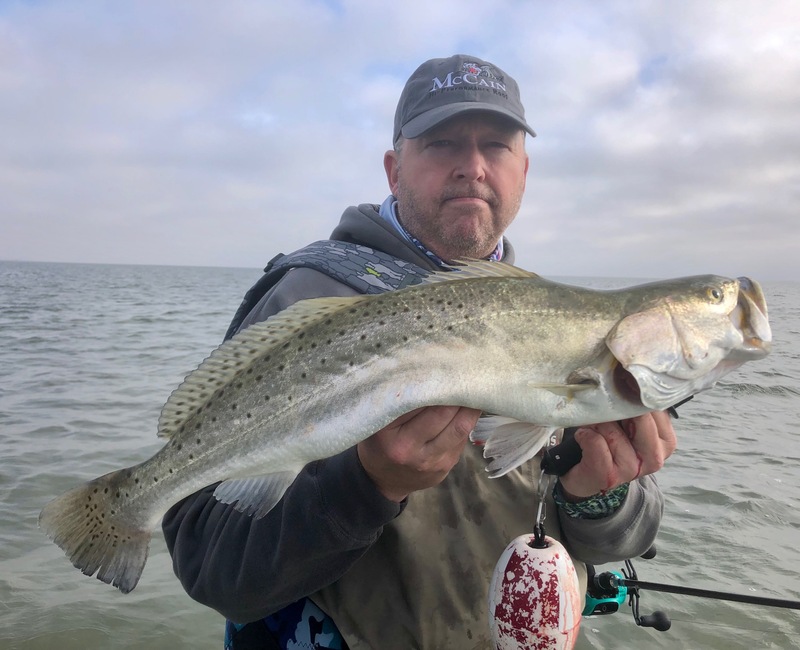 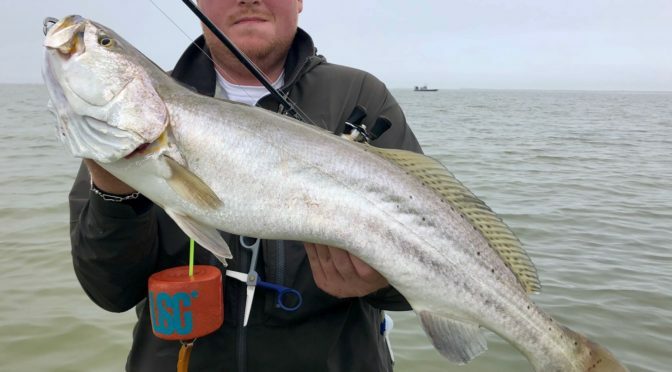 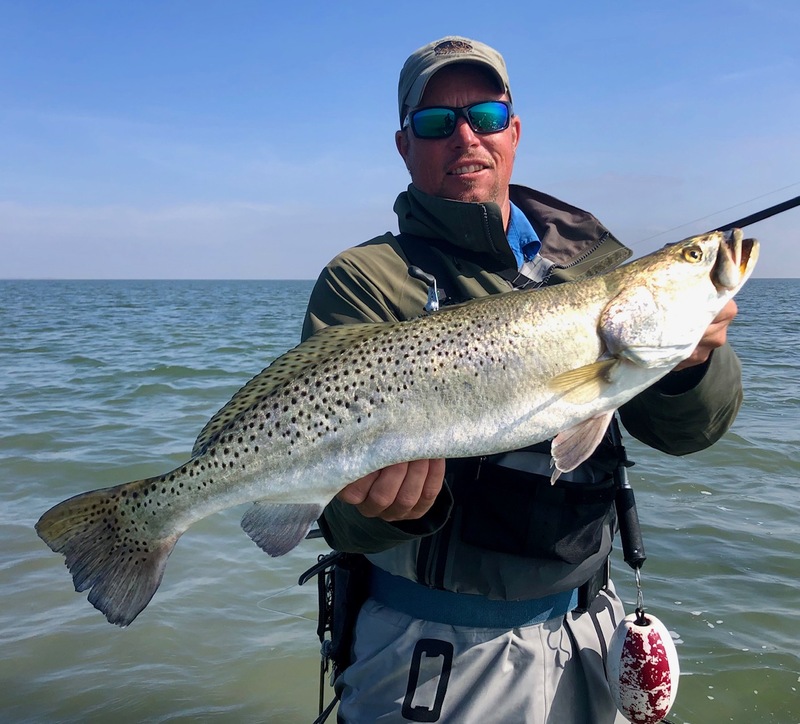 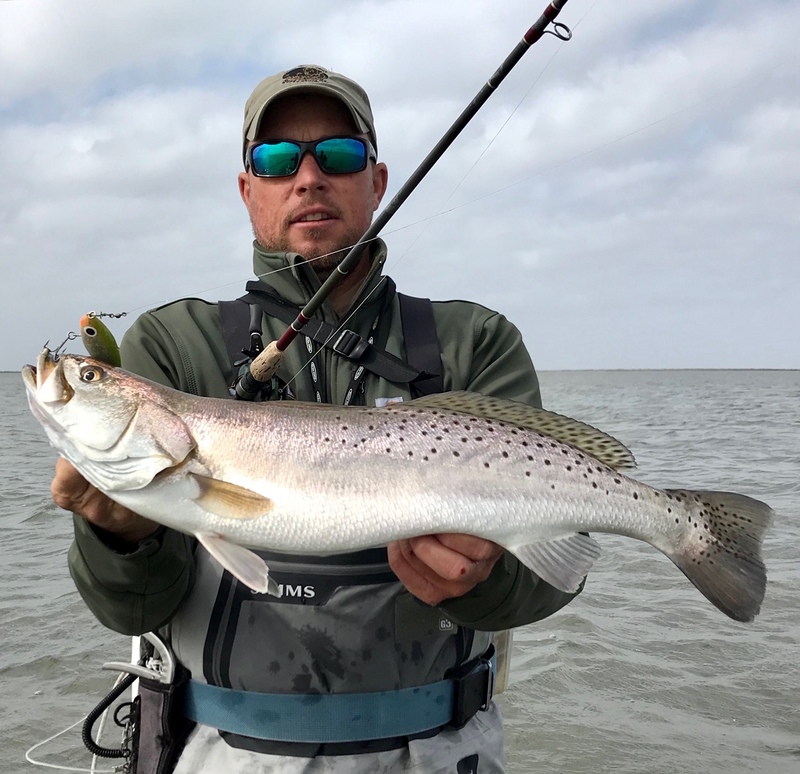 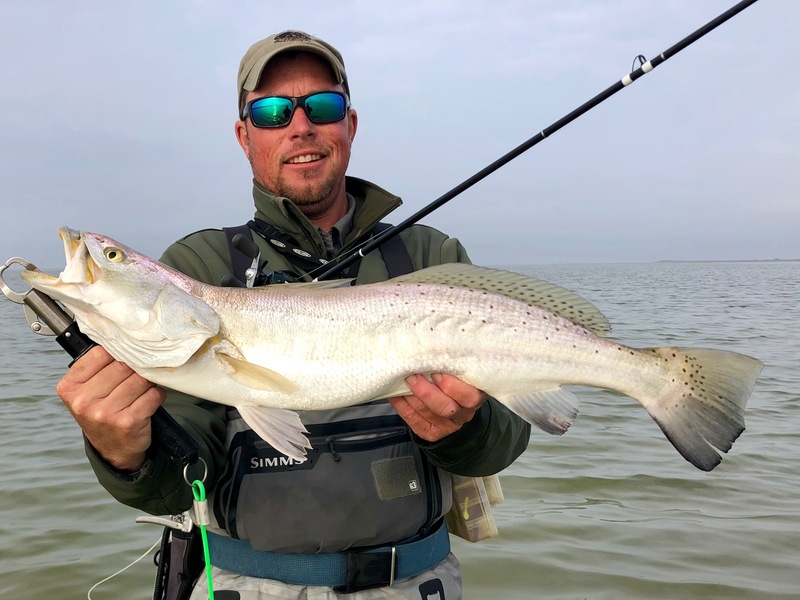 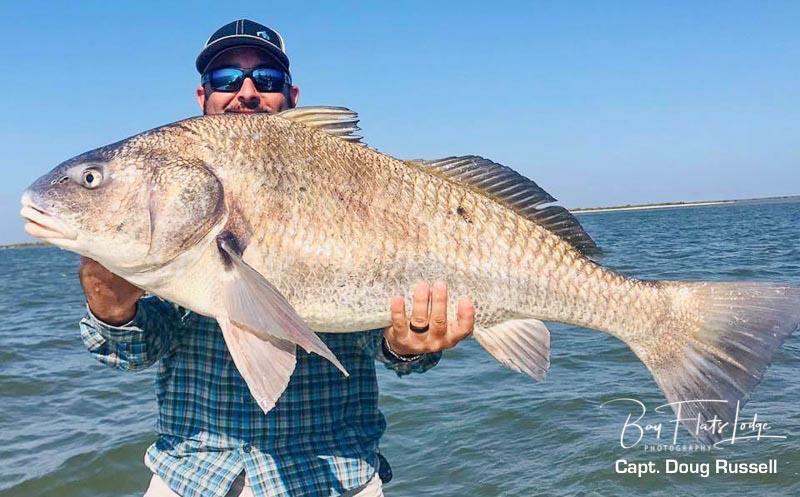 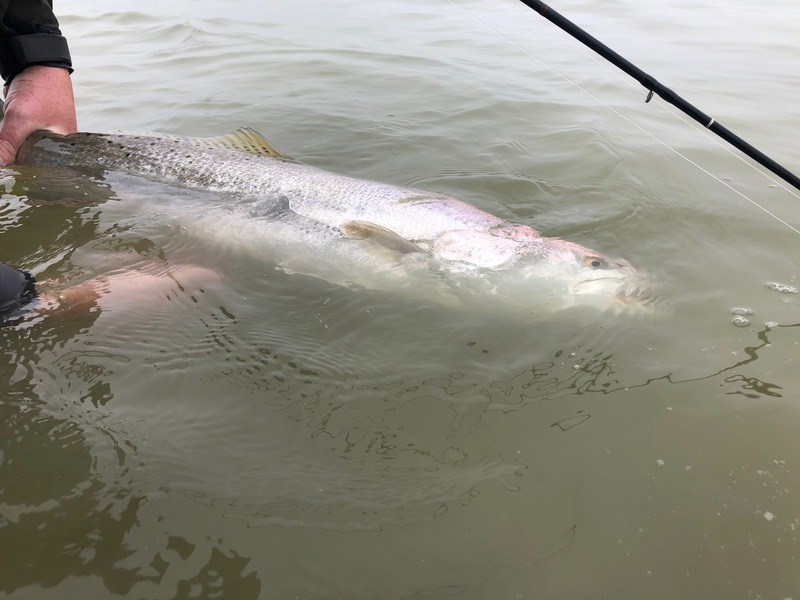 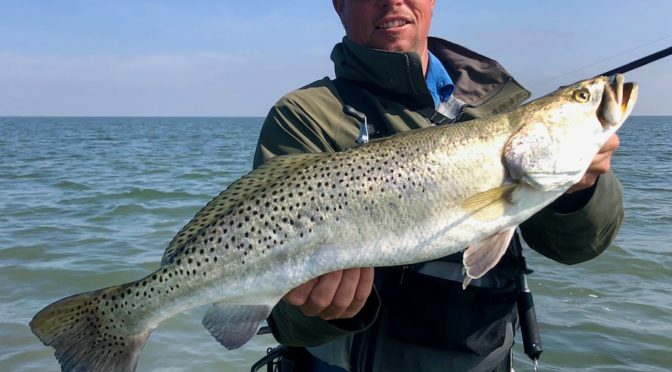 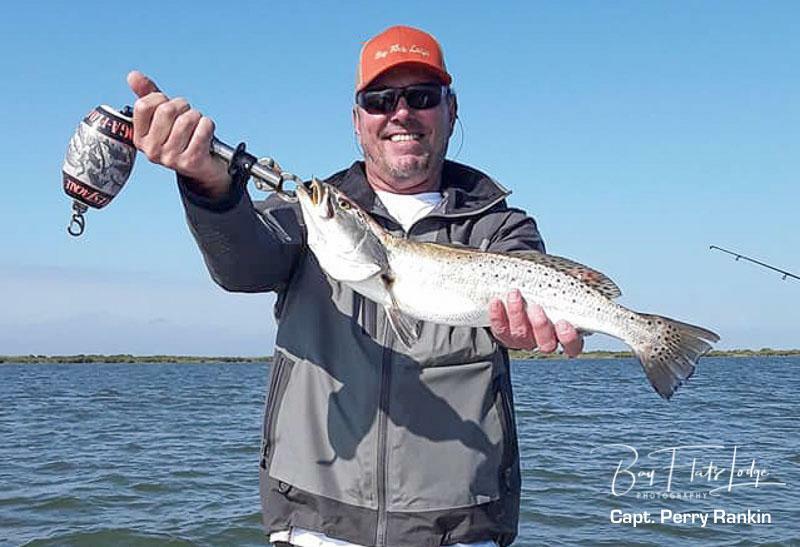 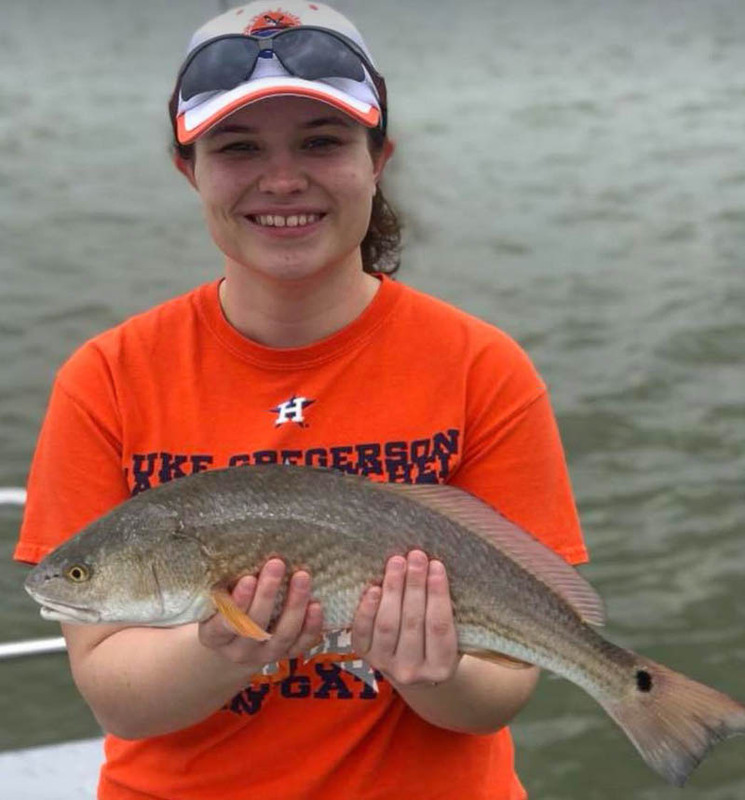 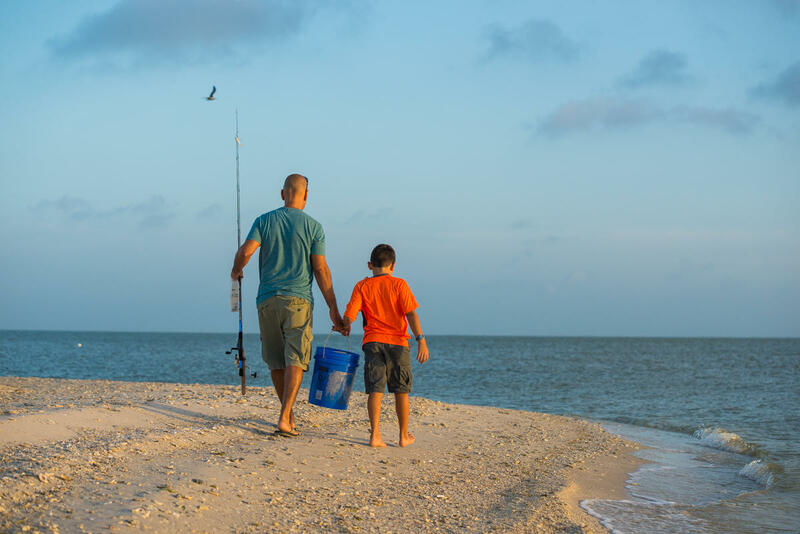 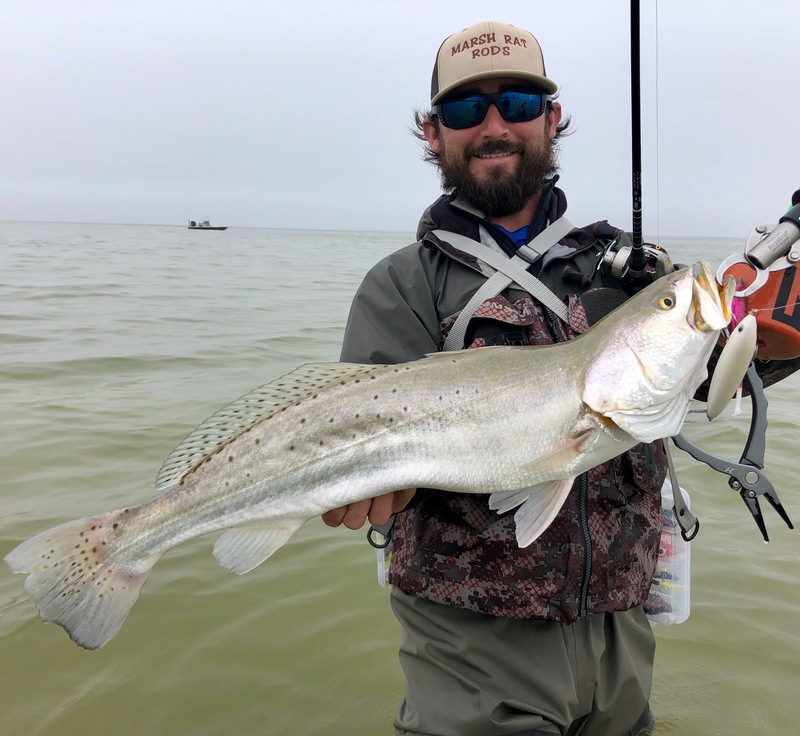 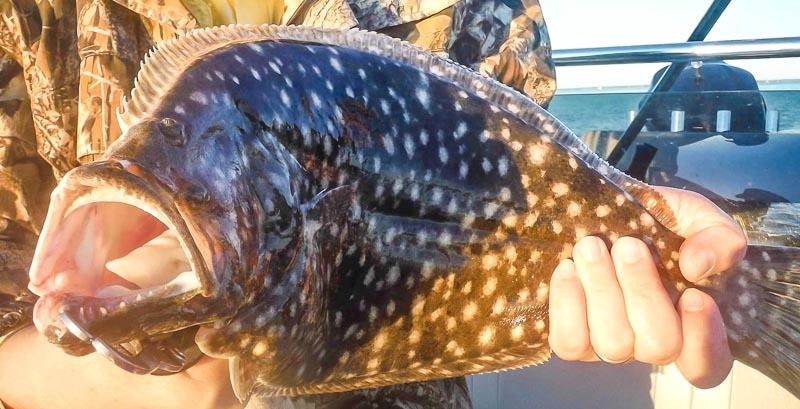 Areas that just had widely scattered jumping mullet didn’t produce much more than a handful of 16-18″ trout and a few mid-slot reds. 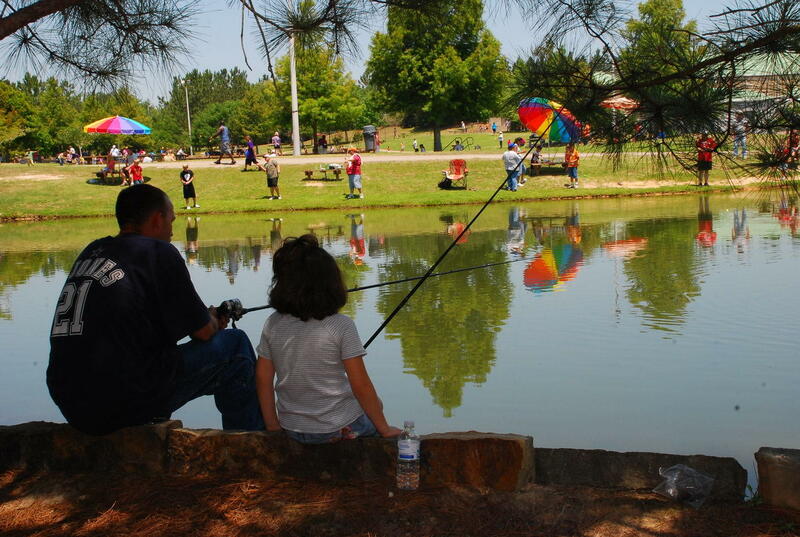 Water color ranged from clear, sandy green, and muddy. 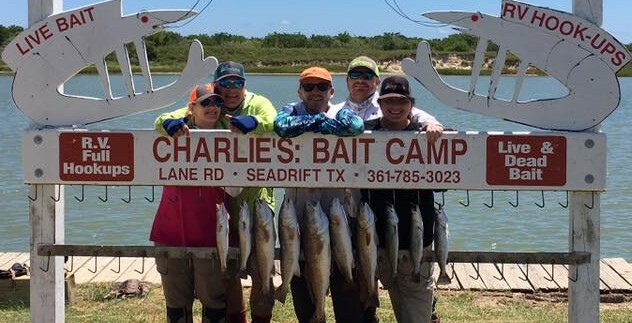 Our bait selection ranged from topwaters, DSL soft plastics, to Corky Softdine XL’s. 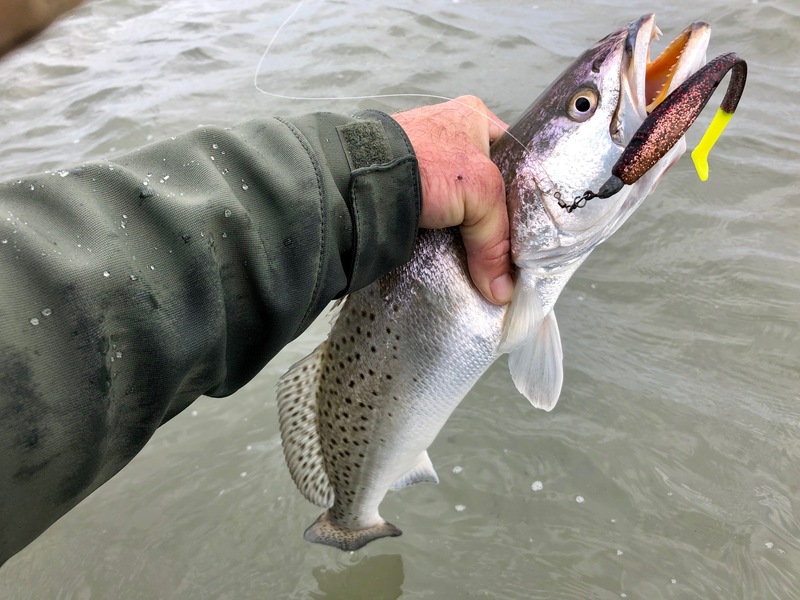 Matching up color selection in these different waters was key, and once we had the right match we had a consistent bite. 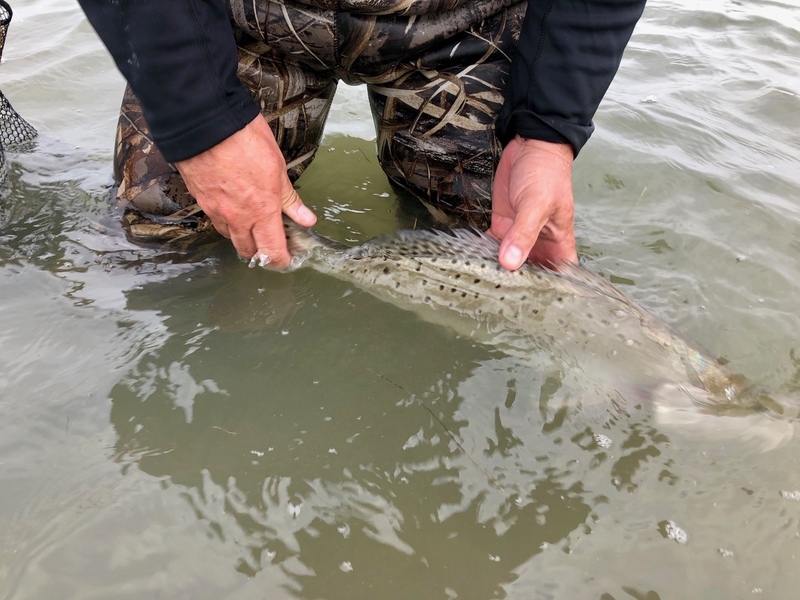 The majority of our fish were caught in clear to sandy green water, walking slow and targeting edges of grass mats worked well. 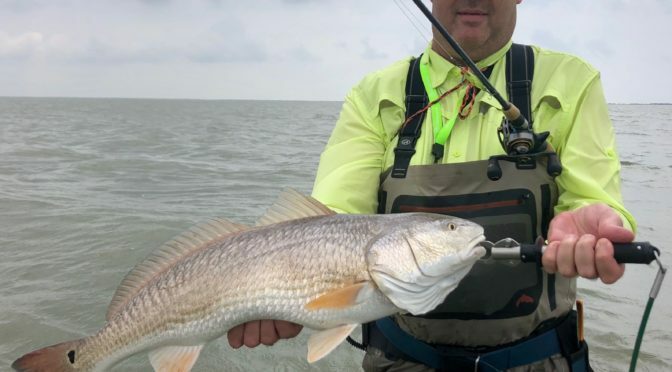 Sometimes it was on the third or fourth cast to the same area. 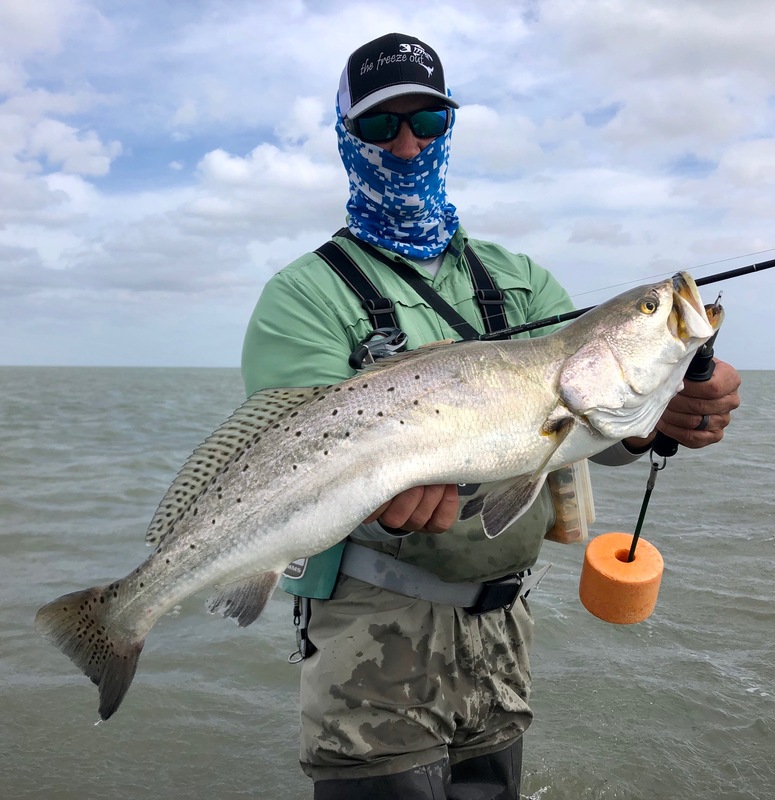 Unfortunately as the last couple days we were met with a good bite until about 11am then the bait seemed to disappear and the bite of big trout shut down. 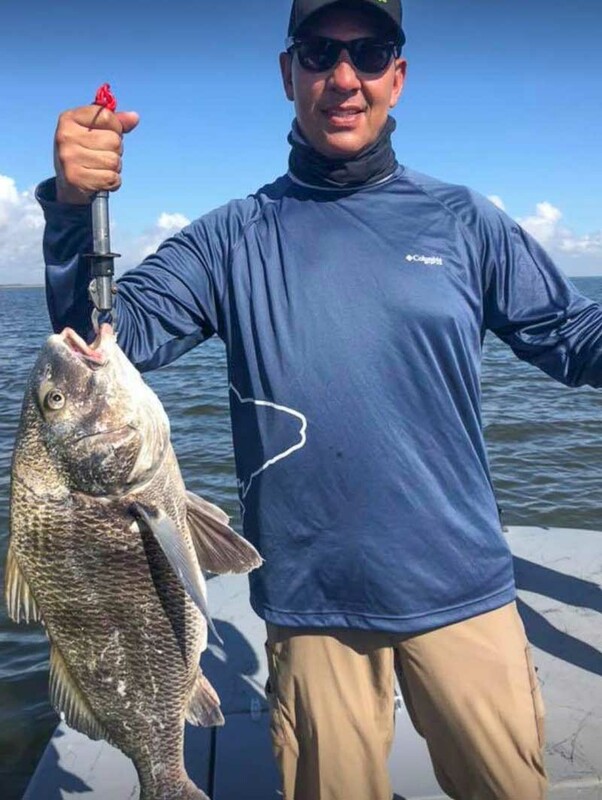 When that happened the redfish bite was good. 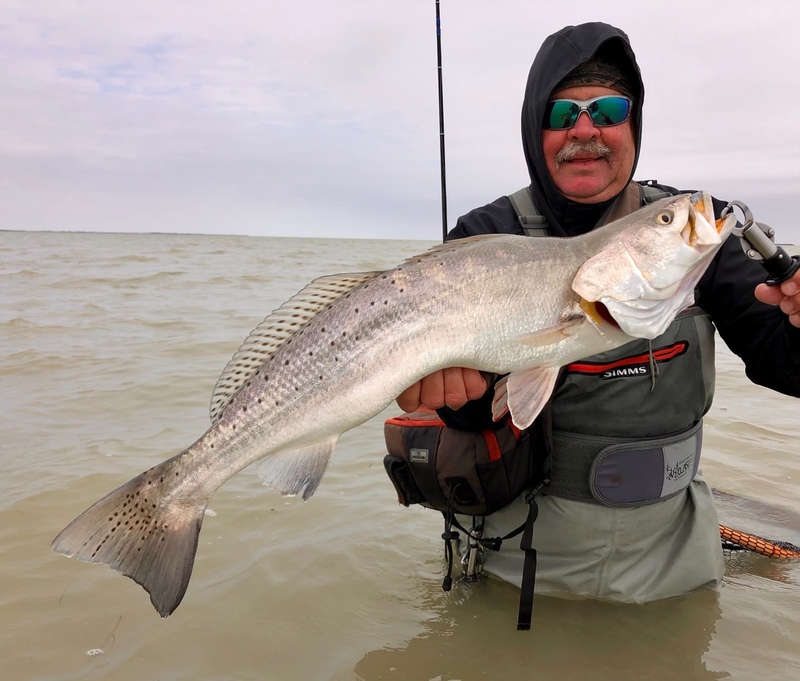 We kept at it because I am a firm believer that big trout roam behind redfish, and you just have to be lucky enough to slip it past the aggressive reds to give that big trout a chance to eat it. 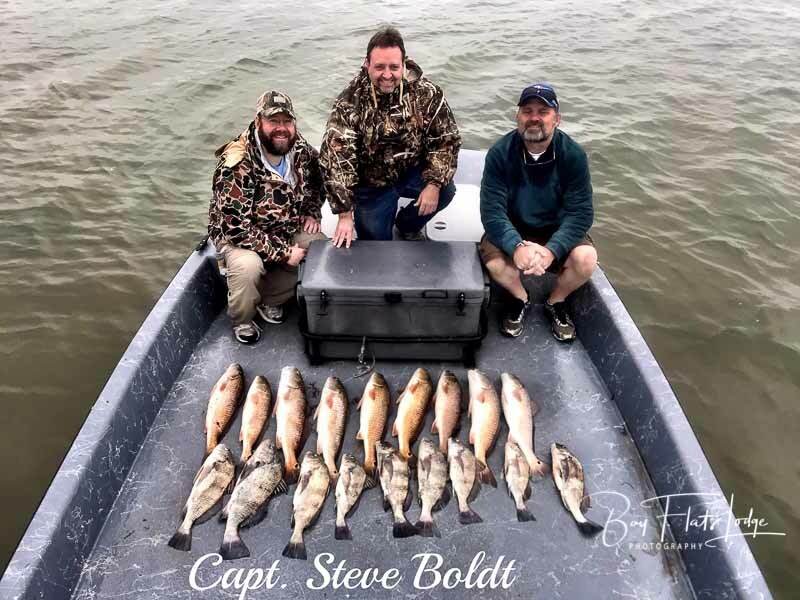 All in all it was a good trip, these repeat customers always seem to have a ball no matter the conditions, personal best were matched this week, and two were lost. 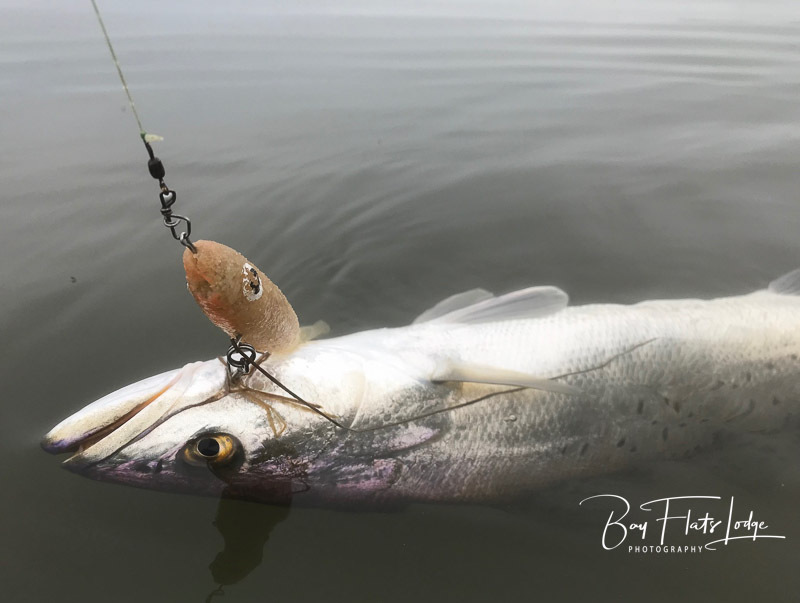 One from the violent head shaking these big fish are known for, and the other broke of a topwater moments before being netted. 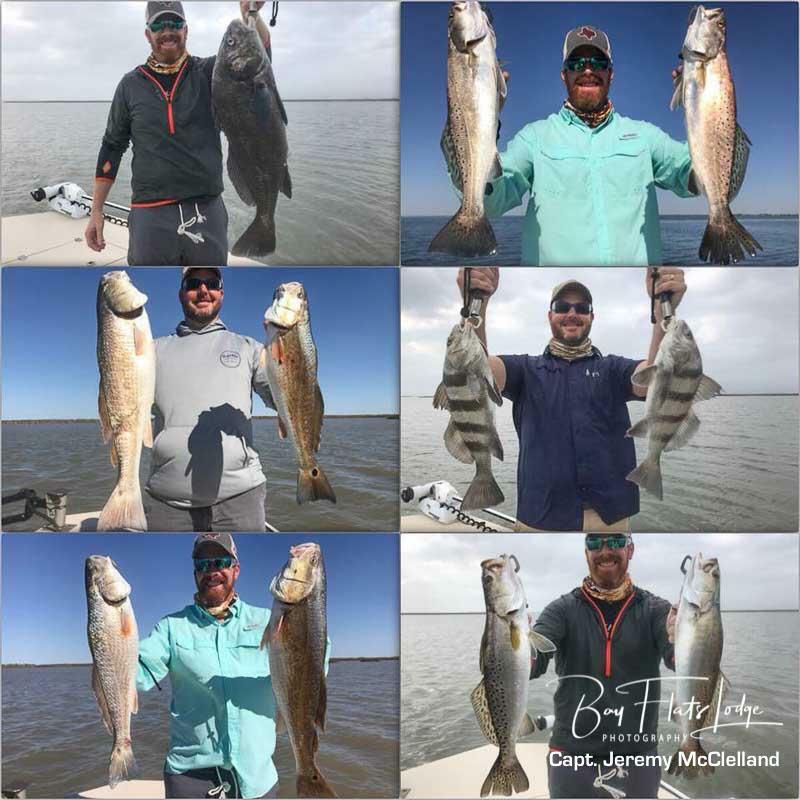 Give us a call for open dates to go try your hand at landing your personal best, it has been a great winter in Port Mansfield, and I am confident it will continue to produce for us.